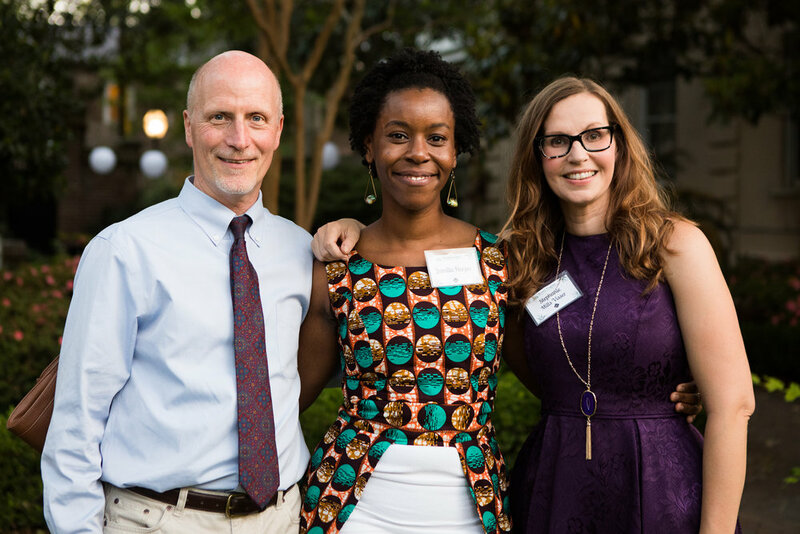 Jamila Harper, Bonner and College of Charleston '08 alum, surrounded by Bobby Hackett, President of the Bonner Foundation, and Stephanie Visser, Director of the Center for Civic Engagement. They brought the idea back to Stephanie Visser, Director of the College of Charleston's Center for Civic Engagement. With the help of other staff in the Student Affairs Office and the Development Office, they adopted the "On Your Mark, Go, Get Set!" philosophy and launched the program in August, 2008, six months after their initial introduction to the network. You can learn more about their story in this keynote speech by Jamila Harper, delivered at their 10th Anniversary Celebration. And, you can read their 10th Anniversary Bonner Book by clicking on the cover image below.